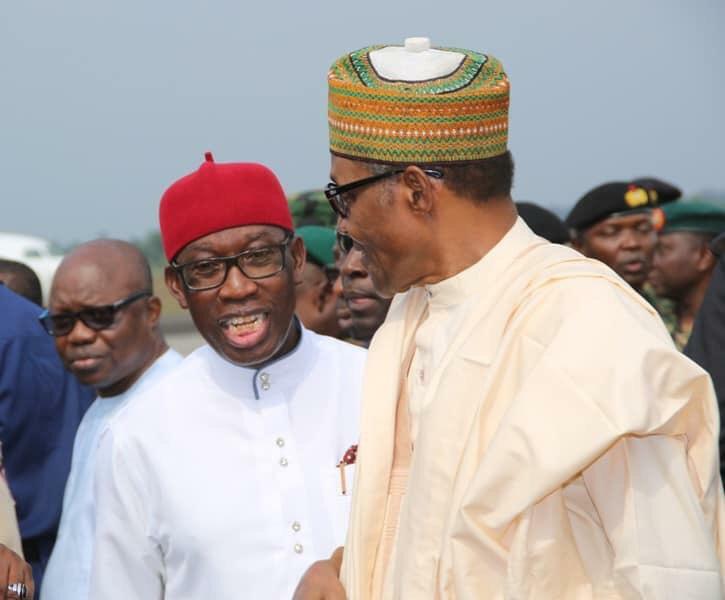 Delta State Governor, Ifeanyi Okowa on Thursday received President Muhammadu Buhari to the flag off of the All Progressives Congress (APC) campaign in the state. The governor in company of his predecessor, Emmanuel Uduaghan who recently dumped the Peoples Democratic Party (PDP) for the APC received the president and his entourage. The APC gubernatorial candidate, Great Ogboru was also among party faithfuls that welcomed the president.